“The sound of the orchestra is one of the most magnificent musical sounds that has ever existed.” – Chick Corea, American jazz and fusion pianist, keyboardist, and composer. 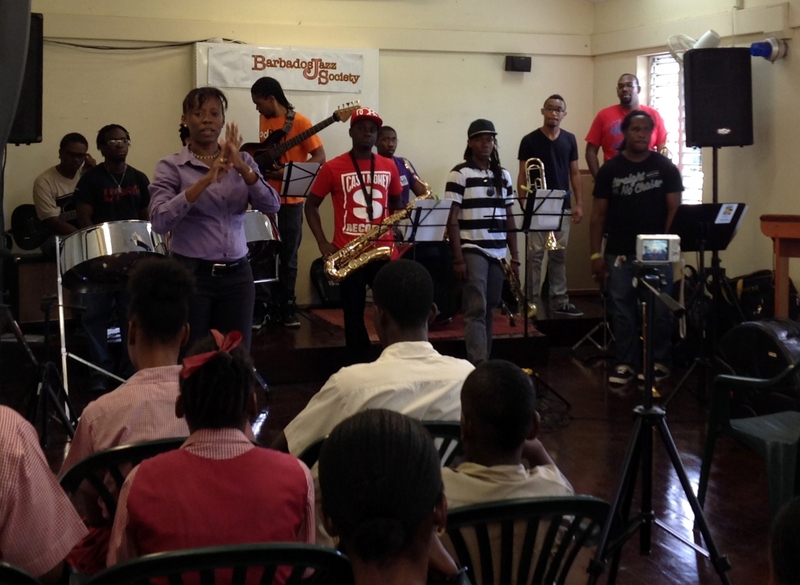 ‘Fah De Children’ is a project of the 1688 Orchestra and Collective, a big band that includes steel pan. 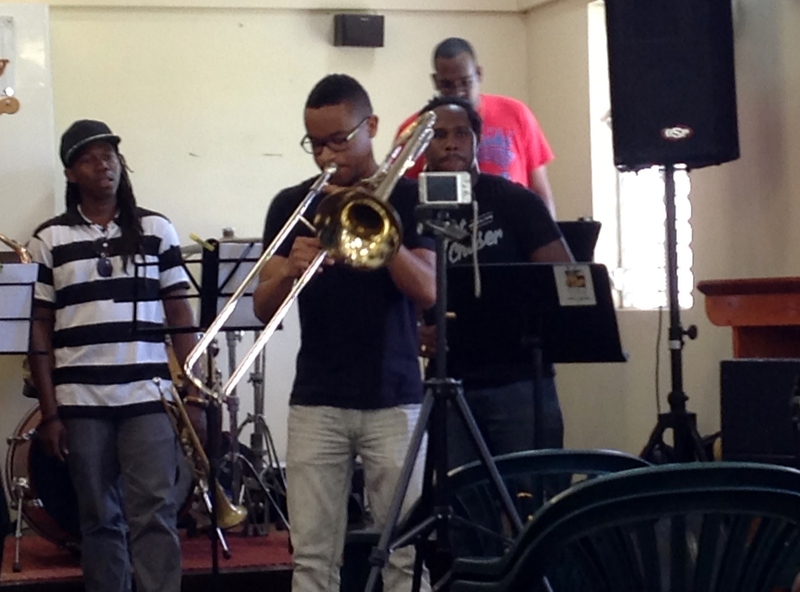 Formed by Barbadian composer and arranger Stefan Walcott, who is the bands artistic director, one of the band’s mandates is to take instrumental performances into spaces where live music is not normally found. 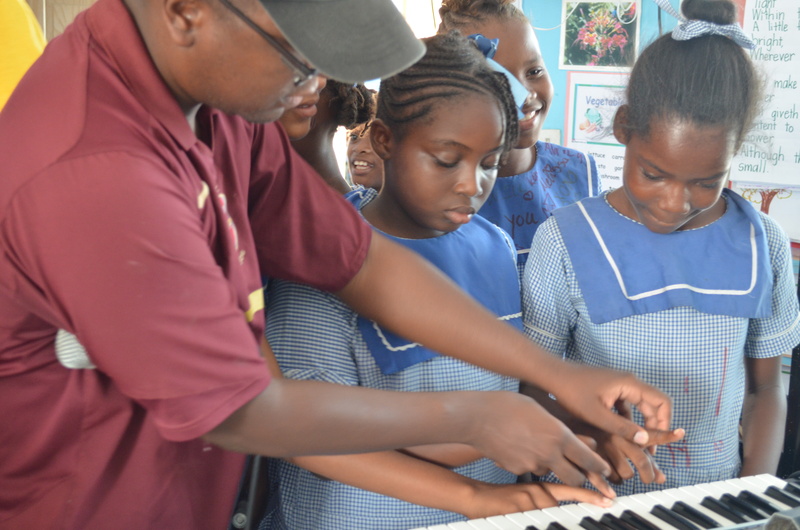 In keeping with this mandate, the 1688 Orchestra conducts free concert performances at the island’s schools through the ‘Fah De Children’. 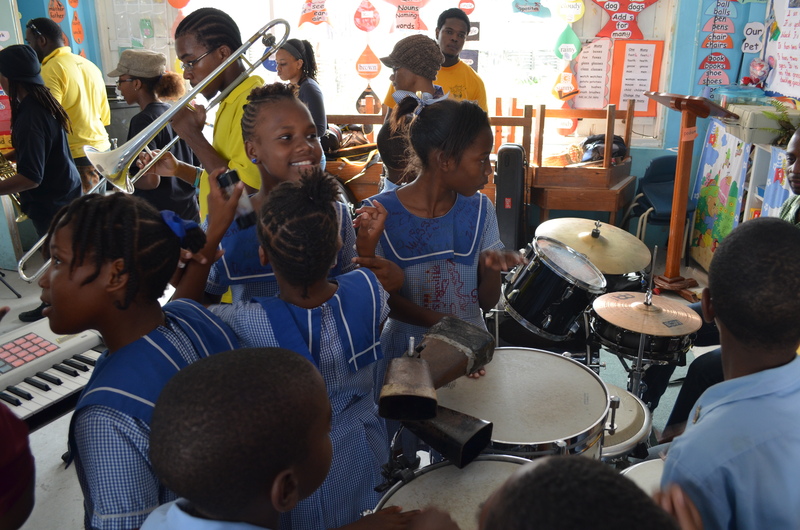 Tours started in 2011 in response to the lack of live instrumental music performances and music within the school system in Barbados. 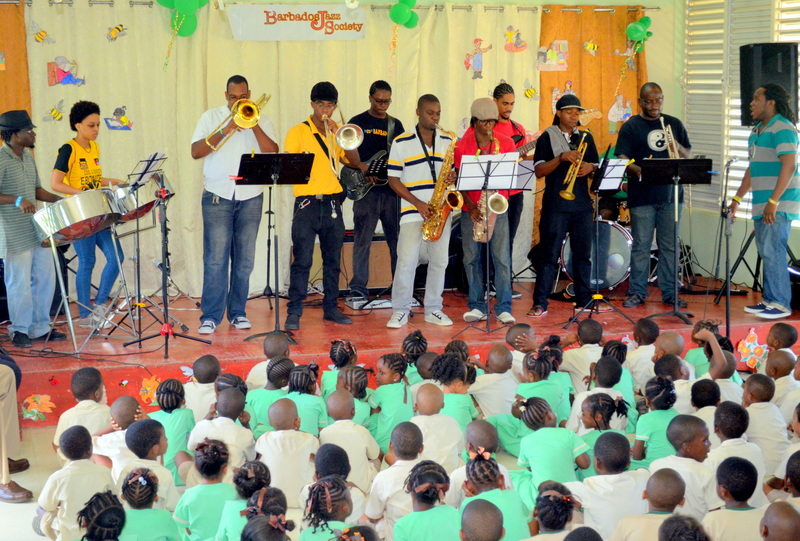 The aims of the tours are to demonstrate the performance of acoustic instruments; educate student audiences on the important elements of music, melody, harmony, rhythm, and how they work in songs; display creativity through musical improvisation, and sensitize student audiences to the sounds of a large jazz orchestra. 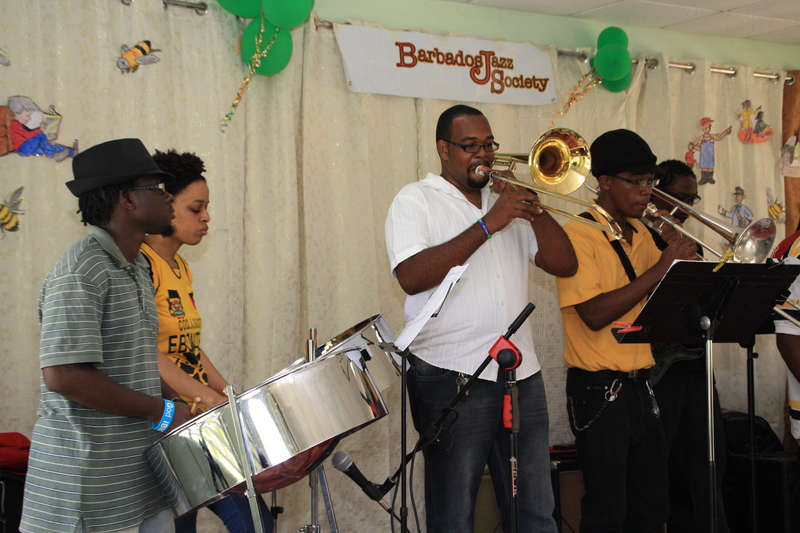 The BJS is an organization of jazz lovers whose primary mandate is to support the development of the jazz art form in Barbados. 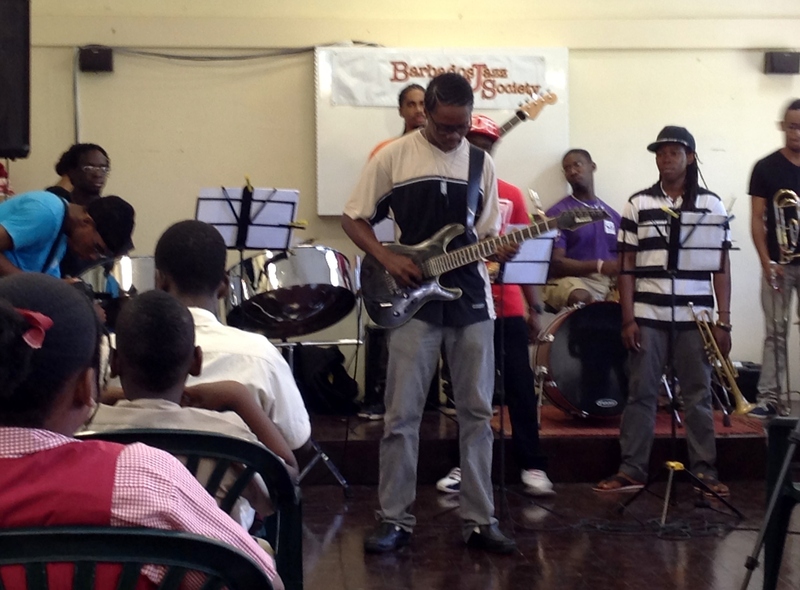 The BJS sponsorship of the 2013 “Fah De Children” Tour further demonstrates the Society’s commitment to jazz education in Barbados, and follows the March 2013 donation of a bass amplifier to the Barbados Community College’s Music Program. 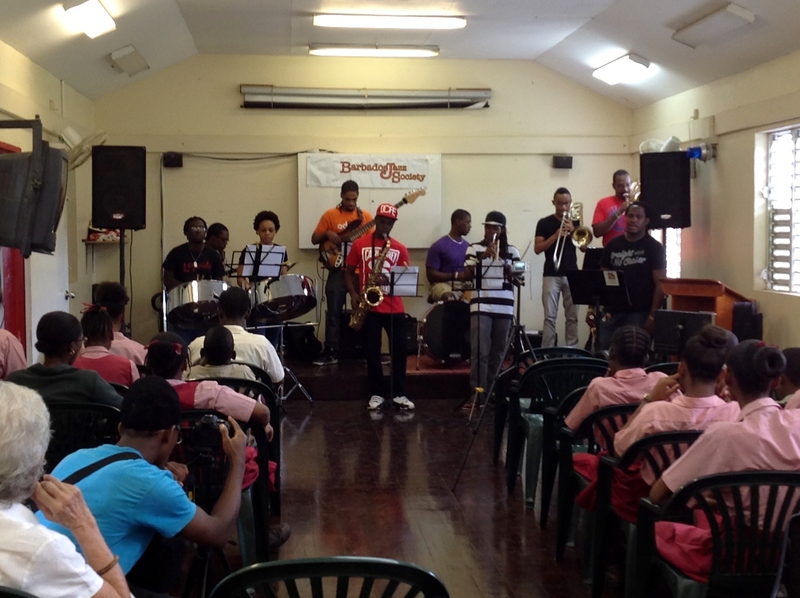 The BJS recently participated in the UNESCO International Jazz Day celebrations with a very successful week of jazz activities and a live jazz concert at Divi Southwinds Resort that was live streamed to 194 countries. This is really a valuable and worthwhile activity by Stefan. 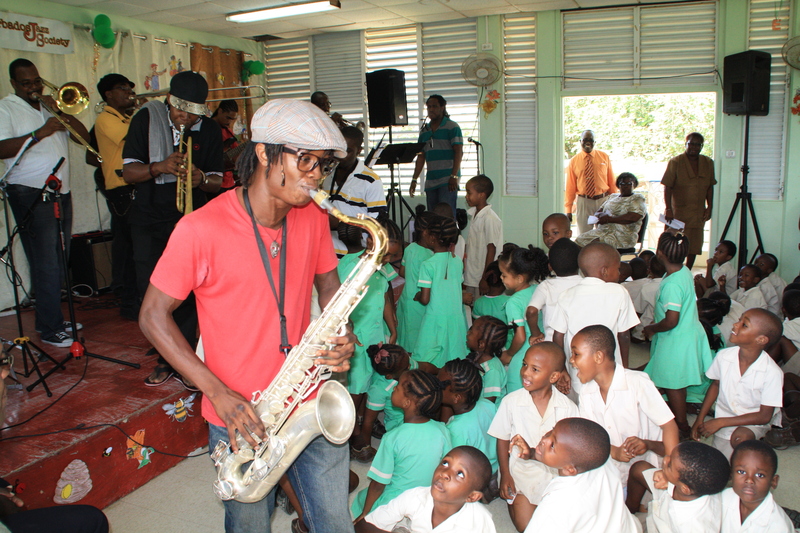 Here is hoping that some of the children become interested in what they heard and saw, and become curious enough to want to listen to jazz, ask questions about this type of music and want to learn to play an instrument. I saw this interest demonstrated in the pictures. 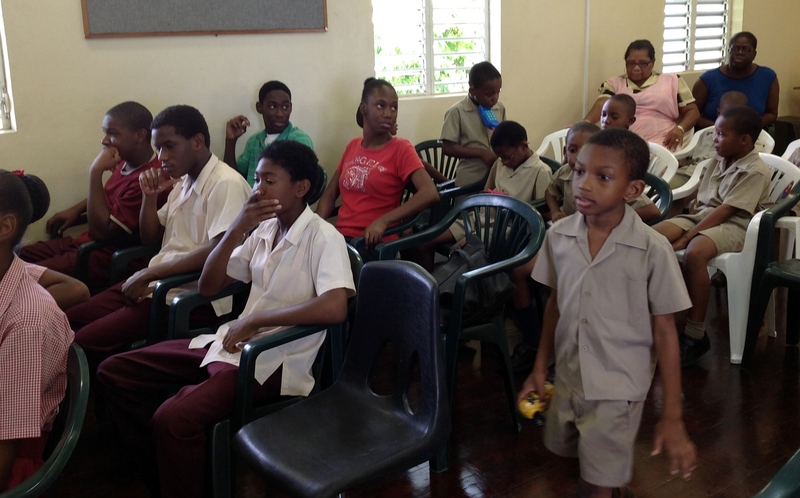 Kudos to Stefan and the guys…..sharing their time and talent with the kids is a commendable thing.